Maggie O’Farrell has written five novels - the most recent won the prestigious literary Costa Novel Award. 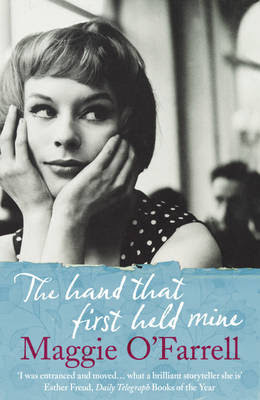 'The Hand that First Held Mine' weaves together two stories, one set in the present day, the other in post-war London. One thing my mother taught me….to read. For me Paris is….. full of bookshops and stylish people. My first thought when I wake up is…. where are my children and are they ok? My motto for life is…. do it and worry about the consequences afterwards. My main vice is…. chocolate. On my gravestone they will write…. “She was too fond of books and it has turned her brain.” Louisa May Alcott.